You may have noticed that our site looks different if you use it with a smartphone or tablet. It's not a separate mobile website; it just displays differently depending on the device you are using, with larger text and fewer images. You can access all the information no matter what device you use. The main applications like forms, parking fines/permits, payments and maps still display in the desktop version. We will start improving these to make them easier to use on phones over the next few months. 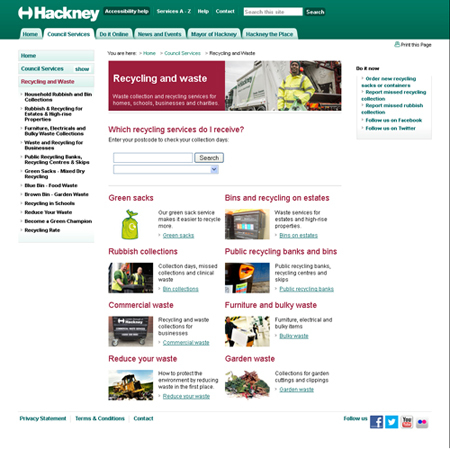 If you have any feedback on the website, or would like to help us test and improve it, email website@hackney.gov.uk.